BMW M2 Review 2019 | What Car? The BMW M2 Competition is effectively a steroid-enhanced version of the 2 Series. Unlike other Competition badged BMW M cars, this isn’t merely a spicier version of the regular M2; it’s an even more fearsome replacement. 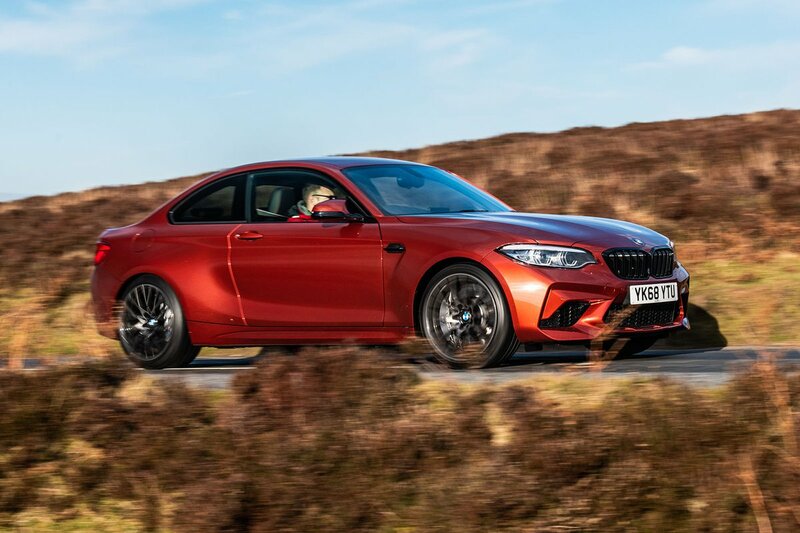 Whereas the M2 had a mere 365bhp from its single turbo straight-six, the Competition has received a heart transplant, with the larger M4 playing the role of the donor. Although it’s still a 3.0-litre six, there’s an extra turbocharger to be found on the new, much racier engine, bumping power to a mighty 404bhp. A six-speed manual gearbox is standard, with a seven-speed dual-clutch automatic to be found on the options list. Whichever you pick, drive is sent to the rear wheels via an electronically controlled limited-slip differential to maximise traction. One of the first things you’ll notice about the M2 are its swollen wheelarches, which barely cover a set of 19in wheels. The reason for this becomes clear when you realise the M2 hasn’t just cannibalised the M4 for its engine; its suspension has been swiped, too. Furthermore, the Competition adds extra bracing, revised springs and steering tweaks. But don’t think of this as an M4 in a smaller, lighter package. While the M4 is set up to be as fast as possible around a track, especially in its more expensive guises, the M2 Competition is more about having fun at saner speeds and, more specifically, on the road. What’s more, unlike rivals such as the Porsche 718 Cayman or Alpine A110, the M2 is surprisingly practical. You get four usable seats, a decent boot and you can expect more than 30mpg if you drive it carefully. 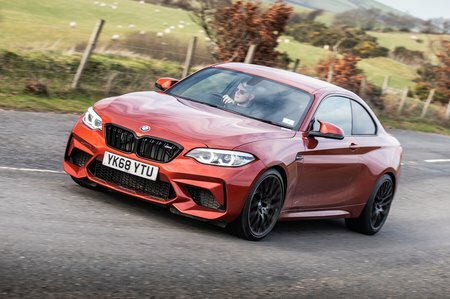 So if an M2 Competition ticks all of your boxes, or you’re just drawn in by its aggressive stance, keep reading for our comprehensive four-point review. If you’re ready to buy this or any other new car, check out our New Car Buying service for huge savings on hundreds of new cars.